What’s Inside The May Vegan Box? This morning, at the toll of the doorbell, I rushed to the door with the anticipation of a child awaking after popping an offering to the Tooth Fairy under their pillow the eve afore. Only this was way better because it was a TVB delivery and not an unconscious encounter involving a weird, winged, kiddie’s-teeth-collecting creature and an underwhelming financial reward. 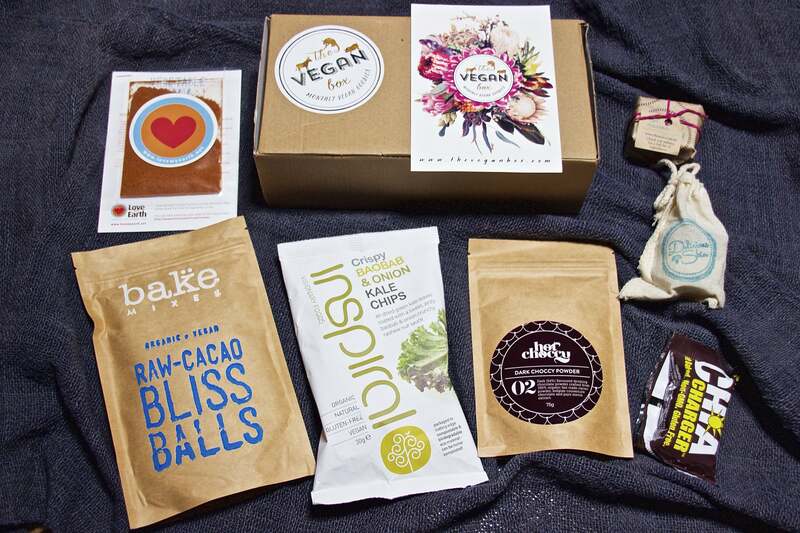 As usual, this month’s Vegan Box will excite and delight you my little compassion-fruits! If you sign up to a monthly TVB subscription you will undoubtedly end up suffering from an affliction I like to call the ‘TVB Lie’ — a deceit you lay on yourself for a brief few moments when you genuinely believe you will open the products over a number of days. Liar, liar pants on fire! You will not make the ‘magic of discovery’ last over a number of days, or even hours. Within minutes you will have ripped open every packet that doesn’t require cooking and scoffed 70-100% of the contents. You will also have shoved your nose into every beauty product with the fervour of a hungry beagle. I’m sorry to knock you on the head with this truth bomb, but that’s just me — a straight shooter. 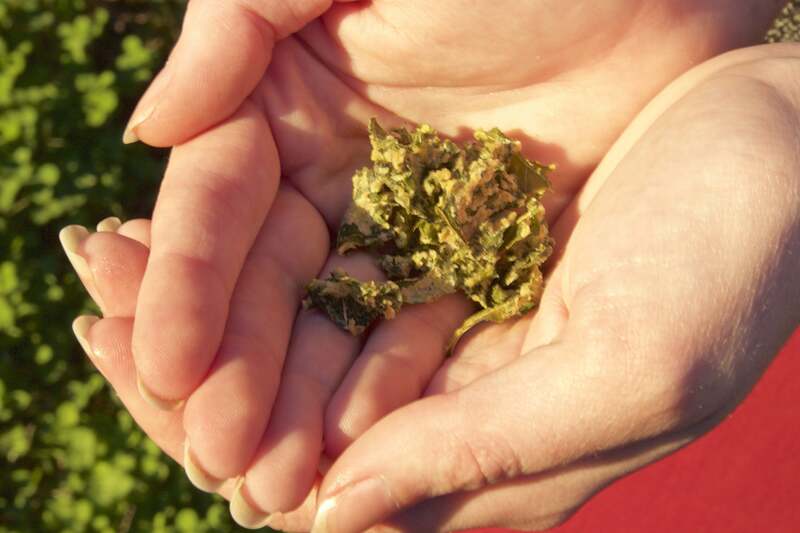 Inspiral Baobab and Onion Kale Chips. These are crunchy and full of flavour. Super savoury, they are perfect to have on hand when a hunger pang strikes. I also find it fun offering friends snacks they have a 99% chance of mispronouncing. Healthy + tasty + smug smirks — what else could you ask for in a packet of chips? Yummari Coffee Chia Charger. Wow, this ball is not messin’ around. There is a world of flavour and texture in every bite. 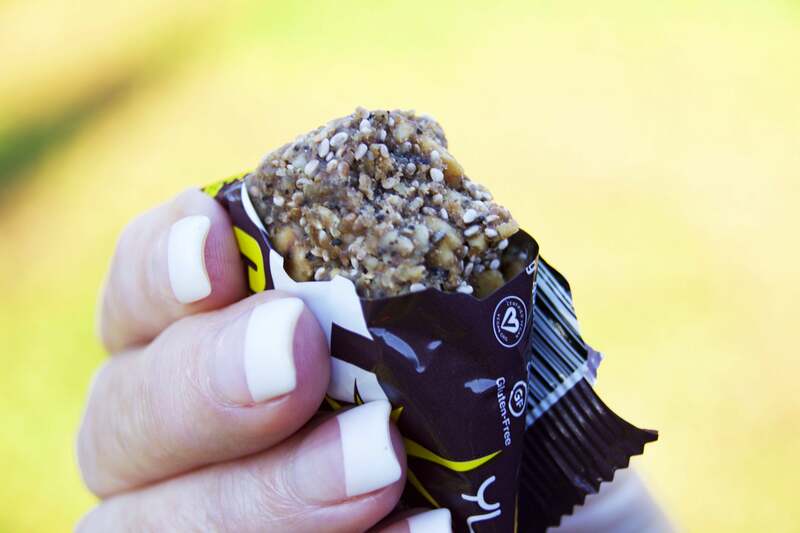 Intense, in a good way, this bad boy is also chock-a-block full of protein, omega 3s, fibre and calcium. Delicious Skin Deliciously Soft Moisturising Cream. When I unscrewed the lid I heard the faint ‘pling’ of an angel tuning her harp. The smell is heav-en-leee and the aroma hits you even before you’ve ‘hungry beagled’ it. I know, I JUST KNOW, that some of you are going to put some in your mouth. But don’t do it! It would be such a shame for your skin. This thick and creamy moisturising cream feels DIVINE on your skin and it’s easy to believe it has magical healing properties. It promises to reduce scars, stretch marks and signs of ageing and I BELIEVE!!! Just don’t eat it before it gets a chance to shine. It smells like how I imagine the Hot Choccy Dark Choccy Powder will taste — which I am off to unceremoniously guzzle right now. Excuse me. What’s your favourite product from the May Vegan Box?